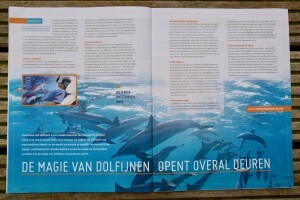 Founder and creative director Marijke was invited to share about the Dolphin Swim Club at the Dutch 5 Uur Show. We discussed our project and are so happy for the coverage. We hope to spread the word and be able to help so many more people. 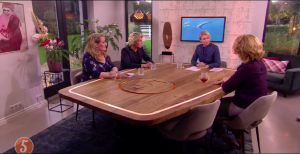 A special thank you to expert Jade Vening of the Dutch Fund for the handicapped, for her comments. Medium recorded a podcast with Benno for the VR Days Europe 2017. We invite you to, instead of putting on your diving mask, gear up with waterproof VR goggles and lower yourself in the water. Then you are close to becoming a ‘member’ of the Dolphin Swim Club. We are here to help multiple disabled patients and at the same time aiming to prevent as much suffering of dolphins and orcas as possible. Which is badly needed, because capturing dolphins for entertainment and therapy is quite a large industry worldwide. Part of that sad fact is that dolphins in captivity on average will only reach the age of about 15, instead of the 45 to 60 years dolphins will become when swimming around in freedom. Be part of it and jump in. Dutch newspaper het Algemeen Dagblad featured us online and in their daily paper. Reporter Renske Baars visits handicapped expertise centre ‘s Heerenloo with us and swims in the pool with our wild dolphins. Dolphin therapy is a long-cherished dream for many people with disabilities. The costs and challenges of traveling may make this impossible. 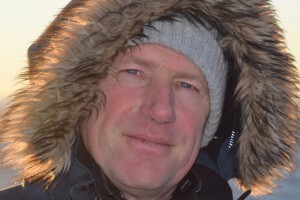 A Dutch couple, Marijke and Benno, can change all that. How? 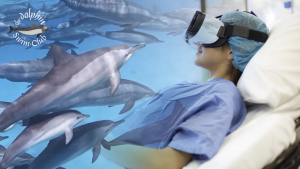 With WaterproofVR goggles, their own wild dolphin 360°VR content and a snorkel. The magic of dolphins opens doors everywhere — The NOMMER. The mind can play tricks on your body. Luckily, VR can play tricks right back. This article on the Wired platform explains this new approach of treating patients with chronic pain trough virtual reality. In a recent trial at the hospital Cedars-Sinai, Brennan M. Spiegel, MD gave his patients more than just the regular treatment. 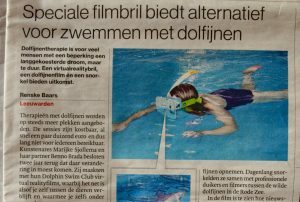 They could choose a variety of VR experiences, including the Wild Dolphins VR, by the Dolphin Swim Club.